WINDPROOF LIGHTER TURBO JET GAS CIGAR CIGARETTE REFILLABLE LIGHTER. Fully refillable gas lighter. Holds a Super King Size CigaretteS. 6.50cm (H) 4cm (W) and 1cm (D). Made in Hong Kong, 1970s. Ideal gift for the smoker in your life and the smoker you want out of your life. Material is brown plastic. Length is 12cm, height 7cm There are two designs, one with a skeleton face, one with a devil. EVA Hard case full protection of your Vape pen tool kit stuff. large space and individual inner design to place your vape accessories in right place. Material: EVA. 1x Storage Box. Size: 14.5cm/5.71". 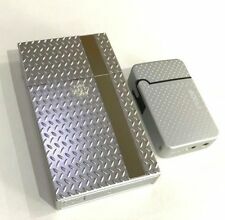 1 x Aluminum Cigarette Case. We will answer or help you to solve the problems as soon as we can. Material: Aluminum. We will be glad to reply and help you to solve any problem. Due to the different monitor and light effect, the actual color of the item might be slightly different from the color showed on the pictures. Vintage Horse & Hound Gilt/Lead ? Cigarette/Trinket Box. Horse & Hound design Cigarette/Trinket Metal Lead/Gilt ? box. HINGE BROKEN AS SHOWN. Can be used or mended by the right skilled person. Wood inside box. 12 x 9.5 cm. 5 cm height. Style:Cigar Wallets/ Cases. This cigarette case gives your box the elegant look and makes it a whole new fashion accessory. Type:Cigarette Cases. an perfect Cigarette Cases not just attractive but durable and waterproof. UP FOR AUCTION THIS OLD STOCK OF PAIR OF VINTAGE CHROME CIGARETTE AND MATCH BOX CASES . LOOKS IN NICE AND CLEAN CONDITION. THANKS FOR WATCHING. Waterproof and oil proof. - Silicone material. Material: silicone. 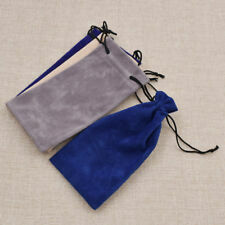 (2) It is also a thoughtful gift for your friends. It is elegant. Orders placed on weekend will. To Other Country. Hard case full protection of your Vape pen tool kit stuff. We have included pictures from every angle. This is the item you will receive. We want you to be confident about the item you are purchasing. With Belt Loop One can Put it on the Belt. Flap Over Lid with Button Closer. Saba Leather. If you live near. (1) Lightweight, exquisite and portable aluminum cigarette case. 1PC Cigarette Case. (2) Fit for about 20 pieces cigarettes of regular size. The images are for reference only. Cigarette Case Super King Size Box Holder Cases Tobacco Long 20 Cigarettes. 1 x Cigarette Case (case only). Size: approx. 9.8CM 5.7CM 2CM. Also note that monitor settings may vary from computer to computer and may distort actual colors. That's our motto. And let's face it, everyone loves to find a bargain. Antique early 20th Century Imperial Russian solid silver tromp l'oeil cigar box, Rectangular, the hinged cover, sides and base chased and engraved to simulate woodgrain and tobacco tax bands. Both parts are Hallmarked Russian silver 84 (875 standard), Moscow, year 1899-1908, Maker's mark F.O (Fedor Ovchinnikov). Double sided cigarette holder. With arms that hold the cigarette sticks. 1 x Cigarette Box. Material: Stainless Steel Leather. Due to the difference between different monitors, the picture may not reflect the actual color of the item. Material: Aluminum. Size: 9.3 x 6 x 2.75cm/3.65 x 2.36 x 1.08". Color: Realistic shooting. 1 X Cigarette pocket (random). Size: About 96 mm × 62 mm × 18 mm / 3.78 2.44 0.71in. It is Impressed Jerusalem on the reverse. There is a hinged section at the top which aallows access to the case / Box. Capacity: 10 Lady's Cigarettes (Fits to the cigarette of 10cm). Aluminum case provides a perfect protection for cigarettes. Tailored for Lady. 1 x Cigarette Case. Material: Aluminum. Color: Silver. A best gift for friends. Silver plated box wooden lined engine turned blank cartouche "MADE IN ENGLAND"